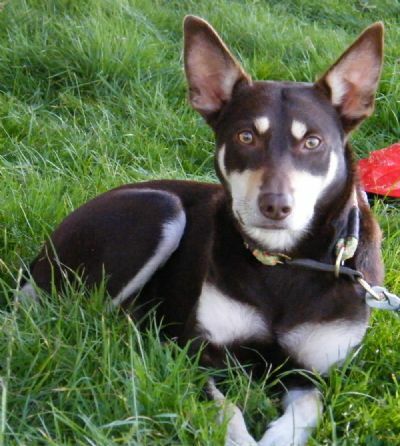 This page is dedicated to Kelpie News and Information. I seem to have more than a passing interest in Australian Working Kelpies. 8/10/10 - I have neglected to mention a couple of websites that first got me interested in kelpies and hope to redress the balance by adding them to this page now. 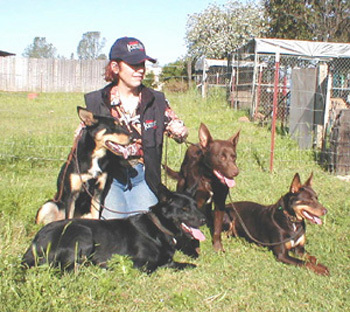 Kathy Gooch's informative website, www.australiankelpie.com , Kathy lives in Victoria, here is an interview that I did for the International Sheepdog News in 2008 (click here). Jan Lowing's website, she lives in Queensland in Australia, www.karmala.com.au. 12/08/10 - There have been two working kelpie demonstrations this year. Kevin and Tracy did another successful demonstration at NSA Sheep 2010, August 3rd Malvern (click here for info, NSA website). The other was held 16/06/10 at NSA South Sheep at Chilbolton Down Farm, Stockbridge, Hampshire, SO20 6BU. 14/06/10 Last year, Kevin Reeves of Lyndhurst Kelpies and Tracy Huxtable of Devonairs Kelpies did a demonstration at a National Sheep Association event. Pics below. Again I will add about Kevin's and Tracy's kelpies soon, as I visited them both last year. Judging by the phones calls I got, from both kelpie enthusiasts AND triallers, the demo was a resounding success with Okara Max impressing everyone. Found a kelpie at the Lowther International, sitting under one of the grandstands. 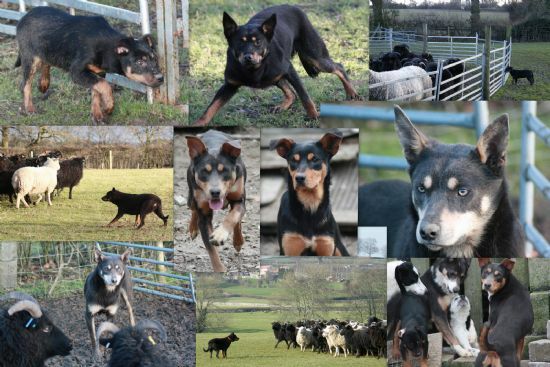 Anyone interested in discussing working kelpies in the UK, please email kimpoulter@aol.com or ring 01765 658082. Any photographs are under strict copyright conditions. Permission must be obtained before copying.